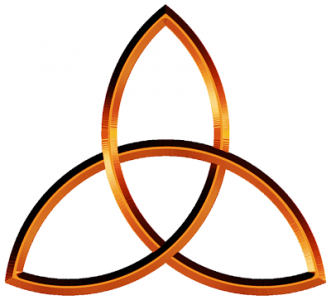 For the Trinity. And the Rule of Three is a writing principle that suggests that things that come in threes are inherently funnier, more satisfying, or more effective. Support BarelyAdventist. Support BarelyAdventist. Support BarelyAdventist. Speaking of 13 and tiny bits of bread and tiny cups of grape juice . . . seems to me that at the real Last Supper they’d have had a lot of bread to feed all those hungry young fishermen-disciples, and a lot of wine, after all, Jesus must have been the best winemaker in history . . . at the wedding at Cana they asked why they’d kept the best wine for last . . . He was doing miraculous things . . . and so . . . If we’re to be true to the memory of Jesus, who said, “When you eat this bread, and drink this wine, remember me . . .”, I’m pretty sure He wasn’t talking about tiny bits of bread and tiny cups of grape juice. How about great loaves of fesh bread hot from the oven, tear it off in hunks with your hands, smear it with slabs of butter and cheese, and endless bottles of wine! I think that would be more true to the truth, don’t you? I don’t think Jesus was the pale wimpy guy he’s too often portrayed as being . . . nobody in those rough and wild times would have paid any attention to Him . . . remember the priests disparaged him as a “drunkard and a glutton,” and accused Him of hanging out with “sinners and publicans” (publicans, in the time of the King James translation, were not tax collectors, they were “public house keepers,” innkeepers, barkeepers, and highly respected, the English drank ale instead of water, ’cause most of the water was contaminated, they’d get sick from it, the alcohol in the ale killed the germs and kept them well). The priestly class had to get rid of Jesus ’cause he was a radical religious rebel, he was rattling their cages, upsetting their money changing tables and apple carts, turning their world upside down . . . telling them they were “empty sepulchres” . . . empty graves . . . he was a threat to their status, their authority, their livelihoods, their existence! He was a dangerous guy! I think God likes numbers too. Ask any physicist.